Glen Isla House is nestled amongst 2 acres of heritage gardens and oak trees of the historic Glen Isla homestead (c1870), and has direct beach access. All accommodations are purpose-designed as guest accommodations, feature elegant and unique interiors, a flat-screen TV and beautiful authentic heritage garden views. For guests seeking more spacious accommodadions, an historic suite with a spa bath and fireplace is available, and there is a 2-bedroom self-cater cottage option. Glen Isla House is a 15-minute drive from Phillip Island Nature Parks, where you can see wildlife including the world famous little penguins at the Penguin Parade (nightly at dusk), koalas up close and personal at the Koala Conservation Centre, and Australian fur seals off the Nobbies (by boat tour). Phillip Island offers numerous nature walks, world-class bird-watching and a selection of swimming & surf beaches. Phillip Island Grand Prix Circuit is 15-minutes' drive, and Melbourne is a 2-hour drive from Glen Isla. Your hosts can recommend excellent cafes nearby for breakfast. On selected days, a substantial continental-style breakfast is served in the elegant dining room overlooking the heritage gardens (the dining room does not operate every day*). Free Wi-Fi and ample secure off-street parking is provided for all guest vehicles. See our 'Attractions & Restaurants' page for our recomendations on restaurants and dining options. There are only a few restaurants we recommend, and there are links to their web sites on the attractions & restaurants page. Glen Isla House is proudly family owned & operated. We employ Australians and pay Australian taxes. By booking directly with us, you are supporting an Australian owned and operated small business! TripAdvisor Excellence Awards 'Hall of Fame" for 5-star excellence certificates 2011, 2012, 2013, 2014, 2015, 2016, 2017 & 2018. Glen Isla has been a member of Small Elegant Hotels since 2004, and is one of the most award accommodation properties on Phillip Island. Glen Isla House is not associated with a nearby apartment/motel property with a similar name. 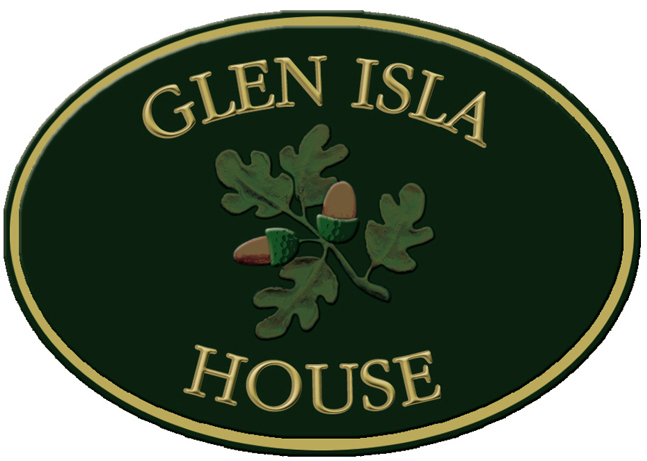 Multi award-winning Glen Isla House is the original & historic Glen Isla on Phillip Island and has been welcoming discerning travellers to our elegant country-house accommodations from all over the world since 2003.